WWWalker Web Development Pty Ltd is working on ecommerce from Australia to China by themselves. For CIIE in November 2018, Austrade expected high hourly rate for business leads which we cannot afford so we will do our own research. Ex Australian Prime Minister and ex Foreign Minister Kevin Rudd spoke in Mandarin to Chinese leaders and students in Bejing in March 2008 on a world trip and also at APEC in Sydney in September 2007 when he was opposition leader showing how some Australians are connecting to our large neighbour in language skills. He gave a talk in Brisbane for Austrade in 2011 on how to do business in China. In December 2015, Australian and Chinese Governments setup China-Australia Free Trade Agreement. Before this Dwight Walker as Web developer attended Austrade seminars in Aug-Sep 2015 in Brisbane and North Lakes QLD in preparation for onslaught of ecommerce from Australia to China. In 2015-2016 and 2018 he is studying supply chain management MicroMasters with MIT via edx.org. In 2017 he got a forklift licence to work in warehouse or farm. We are very open to work with non-English speaking countries like China or Japan or Korea. We love their food and culture. We were born in Australia and have grown up with many cultures at our door. We are open and gregarious as a nation. We are keen to work with our neighbours and are much more than an outpost for European or US powers or businesses. This is how Australia is growing up! We by being agile are attempting to adapt to Asian ways unlike our US colleagues who have been kicked out of China several times like Google over security. Also we are in the same time zone as Asia so can work in the same time of day rather than the US or Europe which are 10 to 18 hours different from Asia. We are only 0 to 4.5 hours difference from most Asian countries. Hence there is a keen interest in China to work with the West in spite of past experiences when Europe and America tried to take it over. We in Australia are much better at working in a multicultural climate and would make better suppliers and co-workers with Chinese companies than these other world powers. As a busker playing Irish fiddle music in Sydney and Brisbane, I find Chinese are the most generous showing their love of music which matches mine. Music transcends the language barrier of Chinese not being able to speak English very well or me not being able to speak Chinese very well. Australia is very fortunate to have Chinese living here as they build up culture in the area. In Brisbane and Sydney there is Chinatown which is very artistic. Chinese are very highly educated also which grows the arts and culture. Chinese are also wealthy enough to support the arts. 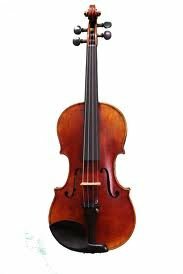 I teach and perform violin having played violin in orchestras, chamber groups, church groups and solo and learned violin and piano to HSC level through music teachers at school mainly in Victoria. I also play and teach piano. Contact us if you want to arrange a violin or piano lesson or see Dwight Walker's musicteacher.com.au profile to enquire re music lessons. In 1986, Dwight Walker, our director, visited South-East China and Hong Kong on a short south-east Asian holiday. It is a huge country. Back then it was sleepy but it has been waking out of its sleep over the past 20 years and is overtaking USA as the powerhouse economy of the world since the Global Financial Crisis of 2008! In March 2017, Dwight Walker is interested in using Hong Kong PCB manufacturer to create an embedded system in transport and communications. Skype is proving to be very useful in reaching China cheaply from Australia. Chinese are keen to learn English and Western technology to develop their country. We feel we can assist there and also grow our business in a burgeoning area right on our doorstep here in the Asia-Pacific region. We are interested in configuring ecommerce between Australia and China for Australian agriculture exports to China. Shenzhen is China's Silicon Valley with many robotics (UBTECH) and hitech electronics manufacturers and software developers. They manufacture robotic car parks, hybrid cars and electric trains. In mid-1980s Dwight Walker visited Canton. This is now a thriving hitech area including horticulture and electronics. I believe there is a high interest in Linux mobile phones and PDAs in China (Access Netforce browser). China's Red Flag Linux operating system distribution is very popular in China and have beaten out Microsoft which we are very happy about. With Japan's MIRACLE LINUX, Red Flag Linux has teamed up with Asianux to increase adoption of the Linux desktop in China, Japan and South Korea. Open source software is easier to develop due to less restrictions on intellectual property which lets the Chinese own their own code rather than licensing it from an overseas company. Hence being a Linux advocate, we are in the box seat re sending software to China or using Chinese open source software to expand our business over in China without the overheads of and prejudice against open source software like in Australia. China made an unsuccessful bid for the OpenOffice Conference (OOoCon) in 2007 which was won by Barcelona, Spain. They have a staggering array of software engineers and embedded technology being developed in Beijing. China hosted the 2008 Open Office Conference in Bejing on 15-17/10/2008. Chinese hackers use scripts to get into servers so they don't have to pay or to steal commercial software. I hate Chinese hackers. They are like locusts that devour all in their path. In November 2012, I setup a cloud server in Canberra and it was hit on the ssh port over 4000 times by Chinese hackers using dictionary attack. I had to change the ssh port number to stop the hackers trying to enter my Ubuntu server. In 2007, I put my Fedora Linux server online via dynamic DSL and the FTP port was hit 600 times by a Chinese hacker using a dictionary attack until I closed the FTP port which basically destroyed any potential for using that server. In 2005, I had a Mac OS X server system DVD copied by a Chinese hacker because the DVD was left in the drive overnight. They stole the software. China has poor intellectual property enforcement leading to counterfeiting and illegal copying leading to competitors going broke. One of the biggest challenges is editing and displaying Chinese characters in a word processor or Web page. The correct character encoding or language pack needs to be loaded. We have a continuing interest in translating sites into Chinese (Mandarin) so that Chinese can work with us. We are interested in embedded systems and wireless networking in China. We have noticed that currently CSIRO Data61 and University of Adelaide Mechanical Engineering Robotics Research Group (mechatronics) has many Chinese PhD graduates working on hi-tech products for Australia. There are may be 1000 chinese PhD students in Canberra. ANU has a high number of Chinese focused courses. ANU has a branch of the Chinese Studies Association of Australia (CSAA). In Wamuran Queensland 15km west of Caboolture in August-September 2017, approximately 48 Taiwanese, 2 Hong Kong, 20 Korean, 4 French, 2 Belgian, 2 Germans and 2 Australians including myself worked on strawberry farm picking strawberries into trays (2.5kg adequately filled) using trolleys and hand picking. Asians were twice as fast and hogged trays. Asians pick in a different yin and yang (opposites complement) way so were creative and more productive and much faster and got 90% of the fruit and were intensely greedy so the farmer loved them and punished anyone not filling their tray enough so the fast pickers got as much pay as possible to keep them coming back and make the farmer more fat profits. We were paid piecerate, the more trays picked the more money was made. These non-Australian people were on working holiday visas. One week, the price per kilogram dropped after Asians had picked so they and everyone else lost pay so the Asians and some Europeans went on strike for 1 day which punished the farmer and the Asians put a negative quote on farmer's Facebook page but did not communicate they were not coming in despite terms requiring them to do so due to their insular culture. This made it very awkward for the rest of us who did come in and half the fruit rotted as there were not enough pickers that day. Many came back the next day and expected to start work again which they did. The rest worked on a nearby berry farm at better rates per kilogram. Farmer said pickers were not putting enough in tray so he measured a sample of trays for each picker over several days and fired 20 pickers who were consistently under filling their trays. Later the workers slowed down due to lower pay and the farmer killed more and more blocks till the season ended due to hot weather. The Asians called me uncle which was a sign of respect for my old age. I was at least 30 years older than most of the foreign pickers. In May 2017, I spotted several Chinese nationals probably 457 visa holders working for NBN in Morayfield shopping centre. In Caboolture Queensland, since 2017 for past 2 years I have had about 10 people from Brisbane of Chinese descent who asked me to hire them in my Web development business as Web developer or graphic designer. There are very few IT or graphic design jobs in Brisbane area. Go to Sydney or Melbourne. Brisbane held its first APC Summit in 2011. The second is in 2013. The next is in 2019. This is big for people doing Asian business. From 2009, China has the cash and USA the debt due to a trade imbalance. In 2011, USA is staying in Asia to make it safe and commercially viable. In March 2017, US Govt is pushing US electronics manufacturers to move subassembly plants back to USA from China to create jobs, e.g. Apple, Inc. In August 2015, Shanghai Stock Exchange slid 30% in value and manufacturer orders are at 5 year low. In 2017, Chinese are investing in Australian real estate driving up housing prices. In 2018, Logan Mayor was caught up in scandal over Chinese developer giving him boat and $10000s for re-election campaign so had to stand down due to investigation by CCC. In 2017, Chinese are highest traders of Bitcoin to invest in the rest of the world. In May 2017 Chinese government acted to halt exodus of capital from China via Bitcoin. Australian export to China of Liquid Natural Gas from the Northwest Shelf and of iron ore from Western Australia went up dramatically since 2002 or so since a large 25 year contract worth $20-$25Bn AUD to export LNG to China was signed with the help of the Australian Government. (story). In April 2006, Australia also signed an agreement to sell Uranium to China (CNN story). Telstra bought a controlling stake in the huge Chinese internet news, information and real estate portal SouFun in September 2006 (story). Cloudbreak, Pilbara, WA - $360M upgrade of rail, mine and plant in 2009? Since 2009, China is interested in buying or investing in Australian coal and iron ore mines, agriculture and agribusiness. In June 2009, Chinalco was knocked back in its bid to secure $19Bn AUD worth of shares in Rio Tinto by shareholders (SMH 5/6/09). Chinalco attempted to control the price of Australian iron ore used in its steel plants. In 2010, Mr Hu was arrested over alleged spying in China when working for Rio Tinto. In August 2010, China is interested in buying NSW Government power plants. China is very keen to grow as an economic power. Chinese are very smart with trade. We are keen to fine-tune our deals so that we both win. We, like them, often suffer from low capitalisation but have found, as they have, that with time business that is nimble and agile will win over from the slow and ponderous larger companies in the world. Being the new kid on the block doesn't have to eliminate them from being a trade force in the future. China is now a member of the WTO. China reached out to the world through the 2008 Beijing Olympics. Shanghai has been renovated with many new buildings to transform this city into a futuristic one! China Homestay was one way to visit the Games via staying with locals and was run by Canadians. Since 2015, when governments privatised power companies, Chinese invested in Australian power companies like Energy Australia and Alinta. Very few are 100% Australian owned any more. NSW and Victoria privatised their power companies in 1990s. Wild Swans: the Daughters of China by Jung Chang, HarperCollins, 1992 - autobiography of Chinese woman who had relatives or lived in China through empire, warlords, Japanese occupation of Manchuria (Manchukuo) and Kuomintang to Communist world in 20th Century - fascinating and touching book - winner of 1992 NCR Book Award - helped me understand Asians much better! Economic reform in the People's Republic of China since 1990 under Deng Xiaoping - Wikipedia - very interesting articles! WeChat Android mobile app for chat and video calls - biggest in China!